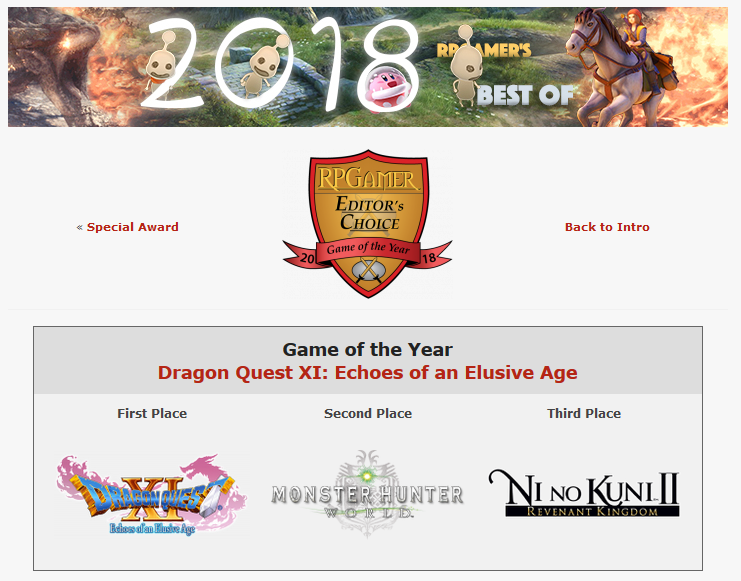 RPGamer has bestowed Dragon Quest XI with their Game of the Year award! So glad it won! Was nervous there for a bit! Erik is so happy with this news he can’t control himself. Surprised Octopath Traveler didn’t get second or third. I feel like most people forgot Ni no Kuni II even came out. Dragon's Den is a Dragon Quest (aka Dragon Warrior in the Nintendo Entertainment System days) fan site that has been around since 1997.